Who doesn't love having their house smell fantastic? I am an avid collector of all things smelly, I have used everything from aerosol sprays, mist sprays, candles, wax melters, and much more. Every brand I have used only lasts for a short amount of time or doesn't smell quite as luxurious as I was hoping for. I have finally found an amazing scent that lasts forever! Pink Zebra has so many amazing items for each and every persons needs. And right now their festive selection is out of this world! 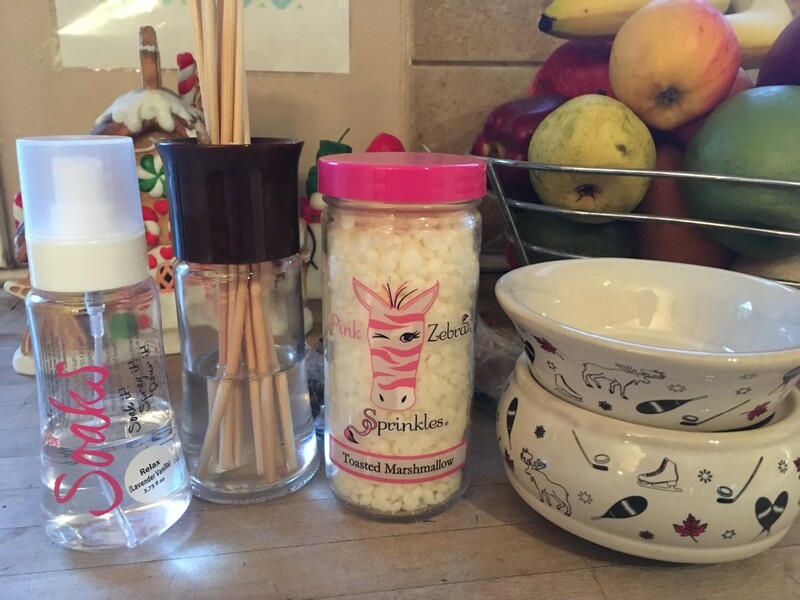 They have simmering pots which are wax warmers, soaks which you place wooden reeds in to soak in and disperse the amazing scent.You can also insert the spray nozzle into your soak scent to spray around the house! They have so many other neat products to match any home decor. This is the best scent I have ever put up to my nose. 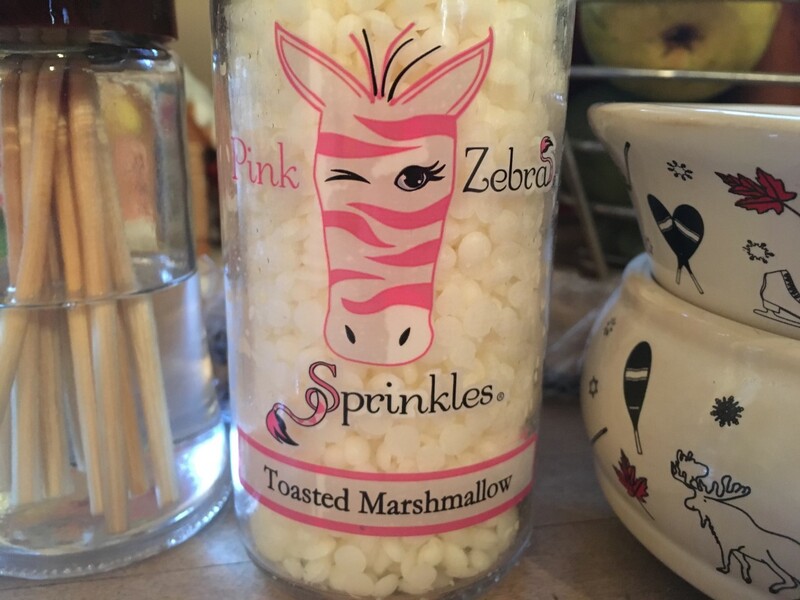 I literally wanted to eat the entire jar after smelling it, imagine the most luscious vanilla buttercream frosting mixed with marshmallows and that is exactly the scent of these sprinkles. Highly recommend! Lavender and vanilla, a combination sure to bring about a sense of peaceful, romantic relaxation. Includes spray cap so you can squirt, pour or spray your Just Add Soaks products. The Mountain Lodge Simmer Pot features elements of the grand beauty of the great outdoors and the experiences it so freely gives. Red maple leaves, moose, snowshoes and more accent the and sand colored piece. 5.5'' D x 4'' H Simply plug it in, switch it on and you have scent for hours. 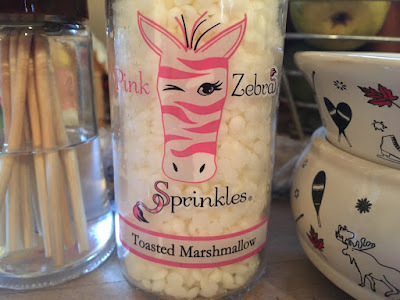 Take a look at the all the other amazing products Pink Zebra has and you will be guaranteed to find some unique and adorable finds that you will enjoy for years to come. Get your Christmas shopping finished today! Make some extra cash by becoming a consultant! It's super easy to sign up and you won't need to work hard to sell these products, they sell themselves!